- 100% brand new and high quality DMX512 microphone cable. - Suitable for microphone, effector, stage stereo, ktv and so on. 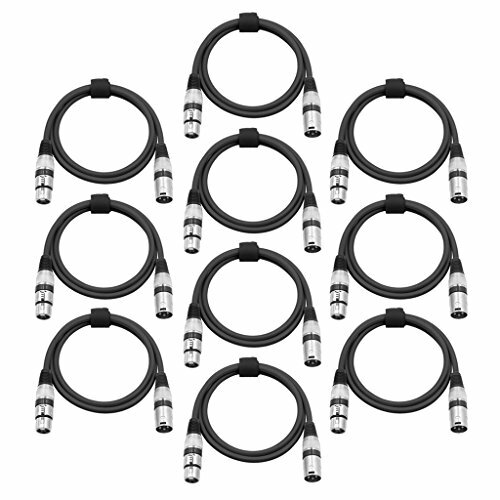 - Connector: 3-Pin XLR Male to XLR Female. - Light weight, durable, soft, waterproof, not deformed. 100% brand new and high quality DMX512 microphone cable. Light weight, durable, soft, waterproof, not deformed. Suitable for microphone, effector, stage stereo, ktv and so on.